It’s going to be a busy year at Full Throttle Motor Speedway. The quarter-mile bull-ring located in Durham, Ontario is the second track to unveil their 2018 tentative race schedule, which promises to be one of the busiest in the province of Ontario. Previous seasons have seen the track running double features each night they’re on the schedule – whether that remains the same for 2018 is yet to be seen. As noted, the past couple of years have seen the field is set for the first feature by a qualifying draw, with the second feature as an invert. Each feature was then 20 laps total in length. 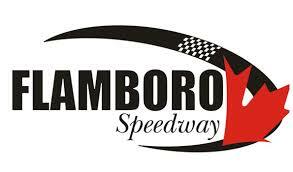 The entire list of divisions includes the brand new All Pro Modifieds, alongside the Fun Stock, Mini Stock, Outlaw Late Model, Street Stock, Jr. Late Models, Mini Truck, Pure Truck, Crazy Trains, and Kid Stock. On top of their local divisions, the track has announced they’ll will host the Lucas Oil Sportsman Cup Series on June 16. With the schedule unveiled, the track has already began to sell tickets for events, including another stellar Christmas special this year.